Is your air conditioner acting up? Call 281-704-3696 today for coil cleaning & repair services in The Woodlands. Enjoy expert AC solutions at a great price. Your air conditioning system is only as strong as its weakest link, so have your evaporator coil checked out today. Click here to access valuable online coupons and discounts. All it takes for your air conditioning system to break down on you is one component to stop working properly. There are many parts that have to work together to get the job done, and the evaporator coil is one of the most critical. This coil holds the refrigerant that gives you the chilled air you need, so if it goes all you have is a fan blowing lukewarm air. There’s a reason so many of your neighbors throughout The Woodlands, TX prefer our cooling services. Click here to read their online reviews. The evaporator coil is part of your air conditioning system that’s installed along with the furnace or as a component of your air handler. As heat is drawn from inside the house, liquid refrigerant inside the coil evaporates as the hot air passes over it. 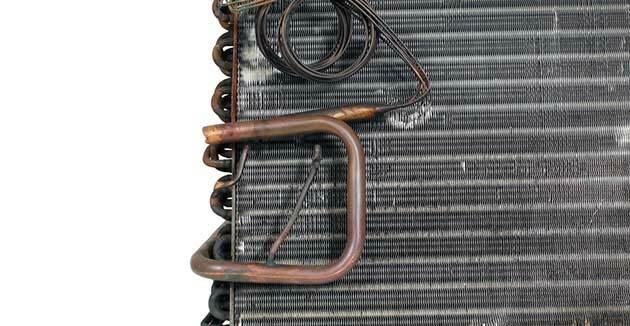 Evaporator coils are responsible for heat transfer, making them an essential part of your AC system. Evaporator coils should be maintained and cleaned regularly, but even with proper care they will wear out and require replacement sooner or later. It is possible to have the coil replaced on its own, or you can get a new one at the same time as a completely new system. You may need a new evaporator coil if yours is visibly leaking refrigerant, or if you notice lukewarm air coming out of your vents or general uneven cooling. When your coil needs replacing, a new one will make it seem as though you have a brand new AC system. All of a sudden, you’ll have cool, comfortable air throughout the house again. While many homeowners decide to clean their own evaporator coils, they risk damaging them or other parts of the AC. When it comes to fixing and installing evaporator coils, you should always leave the work to a professional. Don’t risk having your warranty voided or losing your ability to cool your home when the heat is at its worst. If you need professional evaporator coil services to keep your AC running at peak efficiency, call Affordable American Air Conditioning & Heating at 281-704-3696 in The Woodlands, TX area and we will send an expert to get the process started.